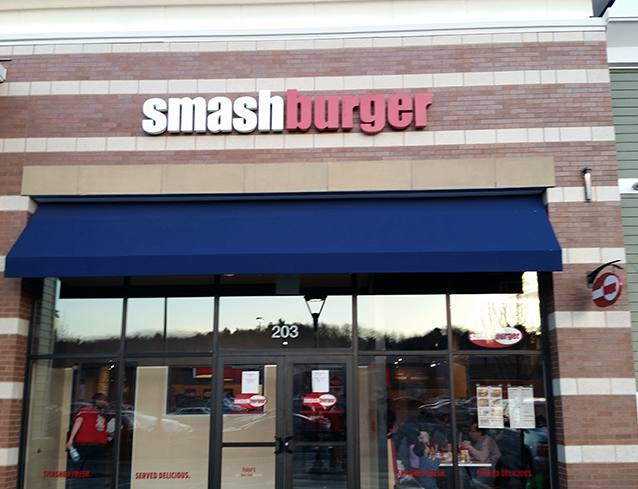 Our New Smashburger Store Has Opened! Its official! Smashburger in Natick Massachusetts has officially opened! The team here at Savin Foods couldn’t be more excited and delighted to add yet another restaurant location to our growing list! What is the philosophy of smash burger? From the official website: In 2007 we opened the first Smashburger with one simple notion in mind: despite the overwhelming number of restaurants serving burgers, Americans were starving for something better. And we could deliver. Our vision is to connect with America’s passion for its favorite food on a local level and in a space where “Smashed Fresh, Served Delicious” means dedication to crafting the best-tasting burger around. Our smashed burgers are always made-to-order, never frozen, smashed and seared to perfection on our grill. Our menu is also kid-friendly, vegetarian-approved and topped off with frosty milkshakes. What does this mean for you? Whether you or someone you know if looking for a career with our growing team, visiting our employment page can offer great insight as to what positions are currently open at our various locations. In addition to Smashburger, Savin Foods also owns and operates 9 Wings Over locations throughout Connecticut and Massachusetts, which also have openings at specific locations. Savin Foods with Smashburger and Wings Over, are seeking positive, enthusiastic and energetic people to join our team. If you have a big smile and a passion for food, teamwork and fun, this could be the right opportunity for you!